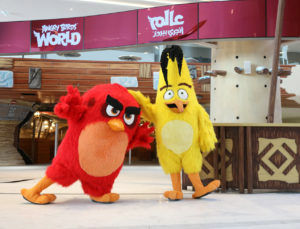 Qatar’s Doha Festival City mall will soon welcome a flock of Angry Birds, setting in motion the development of the world’s first Angry Birds World entertainment park. The park’s concept was introduced and developed by Trimoo, a Dutch location-based entertainment company, in collaboration with Talal bin Mohammed Trading, the licensee for Qatar, and Rovio Entertainment Corporation, developer and distributor of the Angry Birds games. 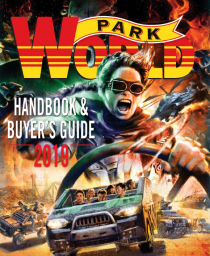 Designed and developed over 17,000 square-metres, Angry Birds World will feature over 20 high-thrill rides for visitors of all ages. The park’s indoor section is shaping up for a launch in the coming months, with the outdoor area to follow soon. As part of the indoor attractions, visitors can enjoy the 1,300 square-metre trampoline park comprising a basketball court, foam pit, and kid’s court. The area also features the Big Tree – a 17-metre-high interactive experience that teaches kids the basics of science as well as improves musical ability. More daring guests can head over to the Rollglider, featuring a 106-metre zip line. Old-school gamers can compete in the arcade area, which is home to over 70 arcade machines. Outdoors, guests can be catapulted 60 metres in the air on the Super Slingshot tower or drenched on the Raft Battle river ride. The City Studio allows visitors to test their strength with a range of physical activities involving climbing attractions and ropes courses. 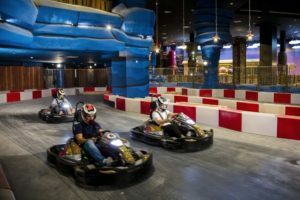 The park also boasts the world’s first indoor/outdoor karting track with positioning system technology – the first and only multi-level karting track in the region. 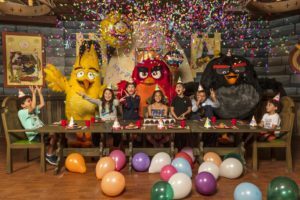 Visitors to the park will be able to enjoy an array of food & beverage outlets with an Angry Birds themed menu, as well as celebrate birthdays with the Birds themselves in two private rooms available to book. 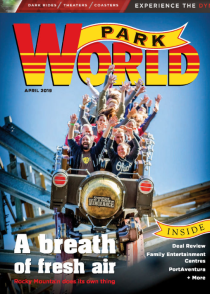 Angry Birds World, a mega-million project, is being developed in line with the Qatar National Tourism Sector Strategy 2030, which aims to drive the country’s revenue by actively contributing towards boosting tourism in Qatar. The park constitutes one of the four major entertainment parks that have been introduced by Trimoo and set to open at Doha Festival City. Upon completion, the entertainment destination will be home to Snow Dunes, the country’s first indoor snow park, Virtuocity, a digital and eSports gaming park, and Juniverse, a children’s educational city in space.